Ten years ago, you’d be served strange looks if you were caught asking a cell phone or small speaker questions like this. Today, however, you can hardly go an entire day without hearing someone asking their virtual assistant to complete a task for them. This means the way people search the internet is changing. According to PricewaterhouseCoopers, 71% of voice assistant owners prefer to use their voice assistants to perform online searches. Additionally, 20% of all Google searches are now done by voice. People of all different age groups and abilities are using voice search for its convenience and ease of use. This means businesses looking to capture more customers must adapt their website optimization strategies to include tactics for both traditional, typed searches and voice search. The optimization strategy for voice search is in marked contrast with traditional, typed search. For one, most people perform voice searches on multiple devices. Secondly, most voice assistants like Siri, Google, and Alexa generally only return the top featured snippet, or whatever answer falls in “position zero.” This is where you should aim to land when planning your optimization strategy. It’s predicted that half of all online searches will be by voice in the next year. This means the competition for position zero will be fierce, no matter the topic. But, before we help get you prepped for the inevitable, it’s important you understand three main characteristics of voice search. 1. Voice search queries tend to be longer, and use natural language. Traditionally, when we used search engines to find information, we would generally only type a few words or short phrases. However, when we use voice search, we pose queries as if we were asking a live person. In short, voice searches tend to be more conversational. Voice search queries tend to be longer-form (also known as long-tail), and often include the 5 Ws and H: who, what, when, where, why, and how. To improve your chances of landing the feature snippet in search results, start including these words and phrases into your SEO keywords. For help with creating conversational queries, check out Answer the Public. 2. Most people use voice search to find local information. 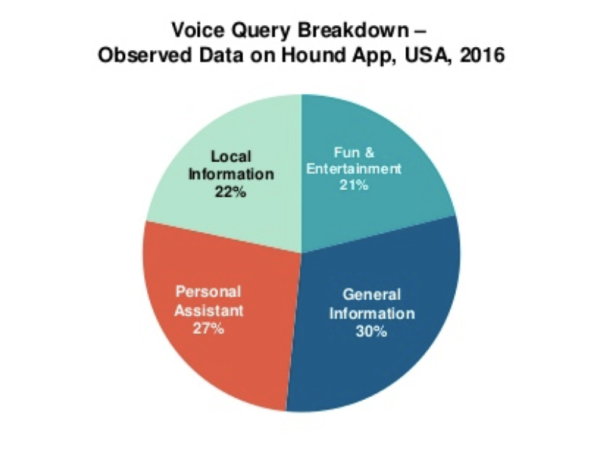 According to Kleiner Perkins, 22% of voice search queries are used to find local information. In fact, the phrase “near me” is more commonly used in voice search (rather than the specific location). What’s more, this type of localized search has grown nearly 130% year-over-year. Landmakrs and local institutions that describe your location. 3. People expect instant results. 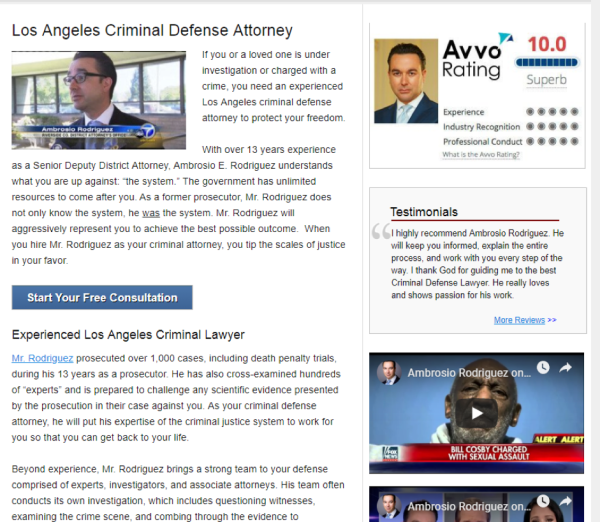 For example: Say someone wants to find a criminal defense lawyer in their area. 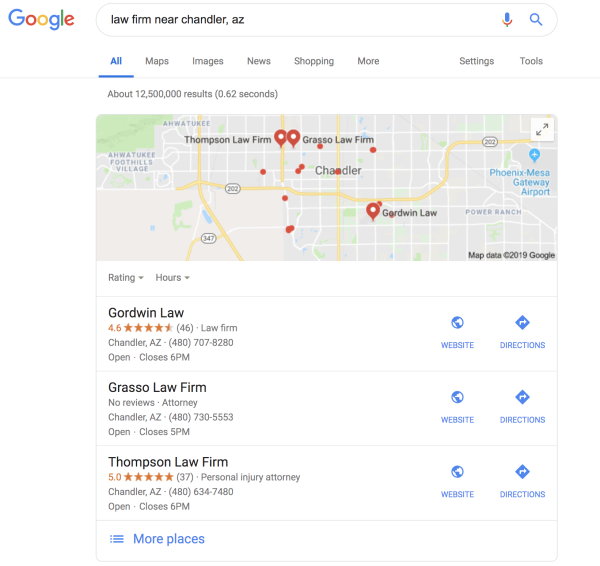 Google will show the closest law firms to their location and provide a phone number, address, working hours, and reviews for the businesses that are listed on Google. If they’re only looking for reviews or the phone number of a certain law firm, they can quickly make a note of this information and go on their way without visiting that law firm’s website. When it comes to informational search queries, people want instant results. To help give them that, and increase your chances of ranking higher, encourage your customers to review your business on Google. You should also make sure your contact information is current, you’ve uploaded photos of your business to your Google My Business account (and your website), your category of business is correct, etc. You should also make an attempt to respond to customer reviews in a polite way. While doing all this might not guarantee you’ll get position zero, it’ll certainly help boost your ranking overall. 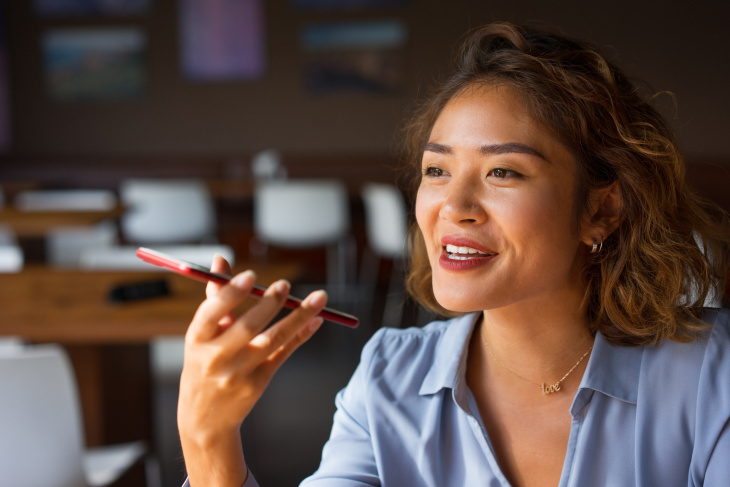 Now that you know what the three main characteristics of voice search are, here are the necessary steps you need to take to prepare for voice search. Optimizing your highest-performing pages for position zero or the featured snippet helps you dominate your niche and outperform your competitors. After all, when searches are performed via voice command, most voice assistants will only read aloud the top result. Therefore, you must make sure the content of your web pages answer the common search queries around your business and niche in the most succinct way. To help you do this, you should collect a wide range of search terms and questions that refer to your business. 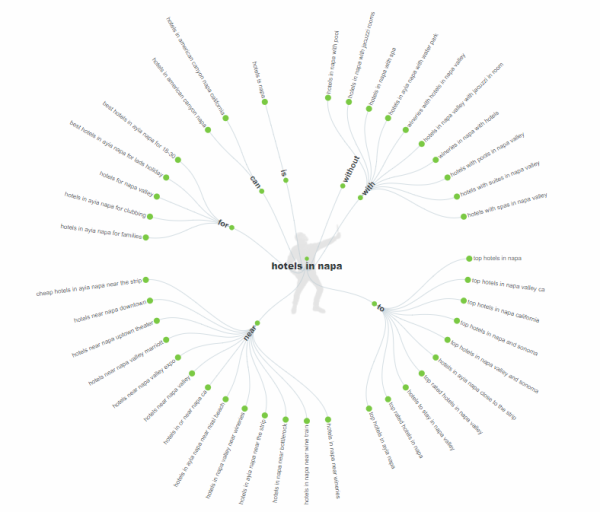 Use keyword research tools like Moz to make a list of topics that are relevant to your niche. 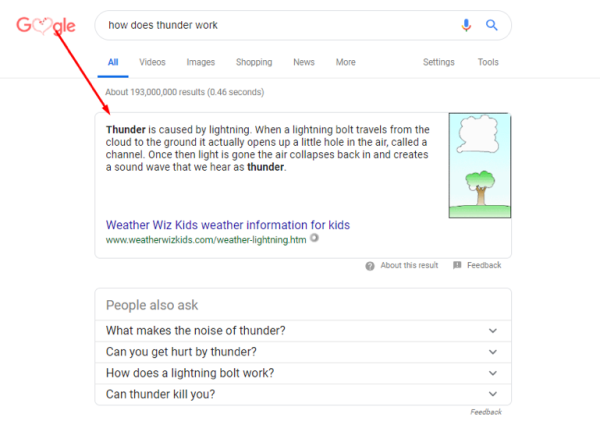 To find more general questions, you can refer to the “People also ask” section on the Google search results page to find additional search terms. Another great tactic to help you secure position zero is by creating a FAQ page. Once you understand what the most commonly asked questions are about your business or industry, you can include them and their corresponding answers on your FAQ page. To make this easier for Google to crawl, use bulleted lists, tables, subheadings, product and competition comparisons, and price breakdowns. 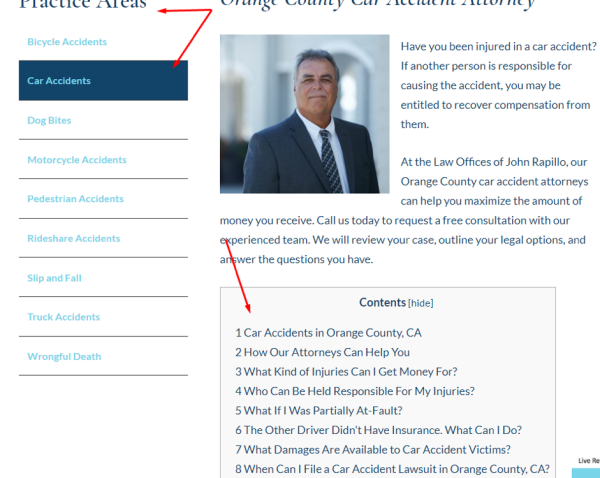 For example, The Law Offices of John Rapillo created “Practice Areas” section, where they answer their most commonly-asked questions in each area of law they serve. If you want to find out whether your website has earned the featured snippet in search results, SE Ranking returns analysis that includes this information. If you haven’t captured the featured snippet, continue to create high-quality content relevant to your key search terms. Structured data, or schema markup, is an important factor that helps search engines organize and classify your content. In other words, this data helps search engines better understand the information on your site. 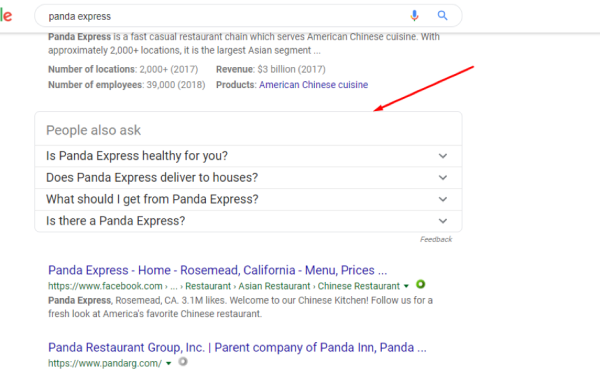 It doesn’t affect your rankings, but having this data will give you a good chance to appear in featured snippets and in voice search results. Using structured data is essential for local businesses because people often search for a phone number, address, office hours, etc. By listing all the important data about your company, you guarantee yourself more conversions, better rankings, and an enhanced online digital footprint. One way to implement your structured data is through SchemaApp.com. Once in, you can start adding relevant types of structured data about your business. To test the schema markup for your webpages, you can use Google’s Structured Data Testing Tool. This will give you understandable and functional results. 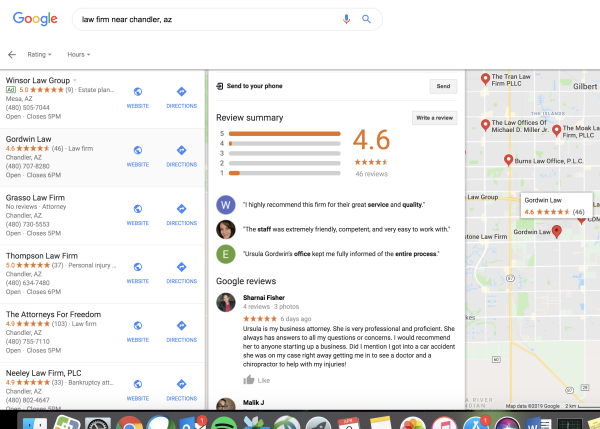 To make sure you’re optimizing your business for local search, you’ll want to claim and/or update your Google My Business listing. Include accurate contact information and your business name, as well as the area code for your phone number. It’s also wise to write a short description (400 words max) of your business and the products or services you offer, but be sure that if you’re using the same description you’ve used for another directory, your message and information is consistent everywhere. Finally, be sure you choose a category that best matches your business. People using voice search are like in a hurry—after all, voice search is much quicker than typing a query into the search bar. To meet your audience’s need for speed, be sure your website doesn’t lag in loading time. Page speed is a key factor that influences your search ranking. 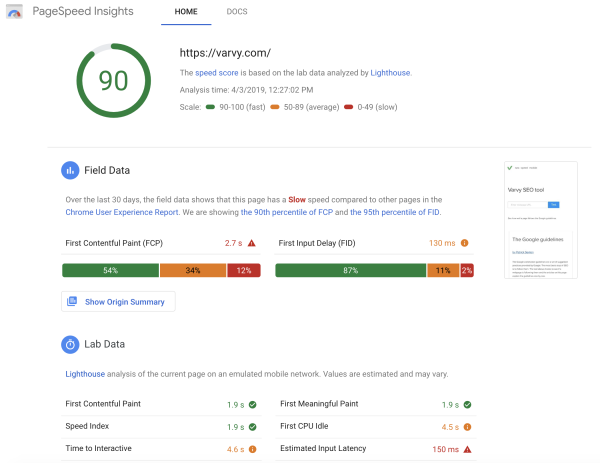 PageSpeed Insights is a great tool to analyze your website speed and help you figure out how to improve your page speed. Plus, it shows both desktop and mobile speed. However, it’s important to note that mobile site load speed plays a more important role for voice search. Google reports that 53% of mobile users abandon a website if it takes longer than 3 seconds to load. Keep this in mind as you’re structuring your optimization strategy. Tap into the accelerated mobile pages resources. Use mobile-responsive design with resolutions that enhance your page speed and accessibility to create an unparalleled customer experience on multiple devices. Don’t use Flash. If you want to add special effects or media, use HTML5. Make your site easy for people to navigate with their thumbs. Make sure your links and buttons are big enough to read and click. If you want to know whether your site complies with Google’s guidelines, try out Google’s Mobile-Friendly Test. If your site needs improvement, the tool will show actionable recommendations you can take. People tend to perform more searches when they use voice search, so it’s important you make your business stand out from the rest of the local businesses in your space. You can do this by creating content on your website that’s relevant to the search queries you want to rank for. But remember: The main goal of your content should be to inform your audience, not increase traffic. Try using more long-tail keywords in your content. You should also optimize your content to answer the “near me” search terms. 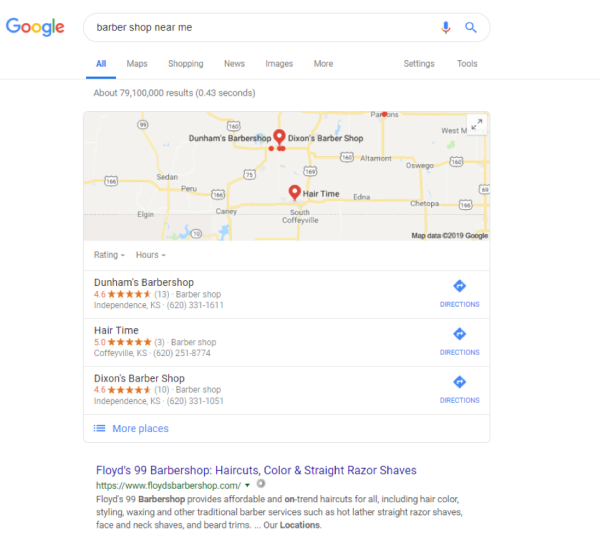 For example, if someone searches for “barber shop near me,” Google will use their location to better understand which barber shops are closest to where they are. If your website and Google My Business profile are up to date, Google will direct inquirers to your business in its results. 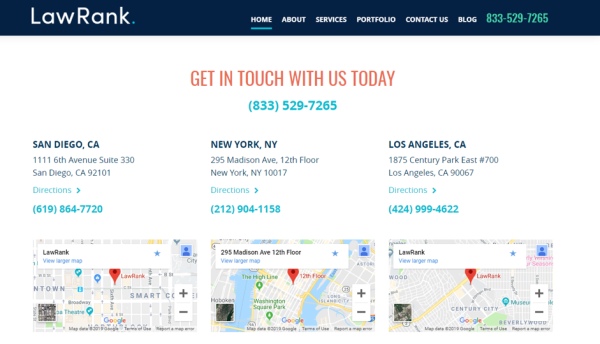 If your business has multiple locations, it’s good practice to have a landing page for each business location. You should also use geogrpahic markers in your keywords and anchor text. Check out this example from Glotzer & Leib, LLP. You probably already know that a bad online reputation can harm your voice search rankings—Google even shows a business’s ratings on a star scale (1 star or less being the worst, 4-5 starts being the best). If you want to increase your prominence on results pages, you need to make sure your customers are talking positively about your business. 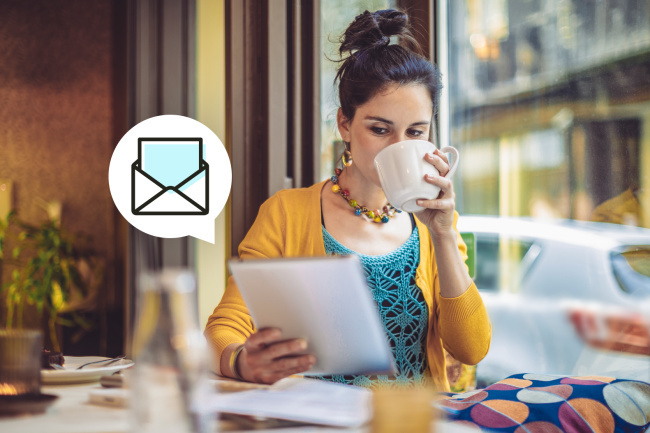 Customer testimonials are another great way to improve your ranking and trustworthiness. So are positive reviews on social media, Yelp, and so on. 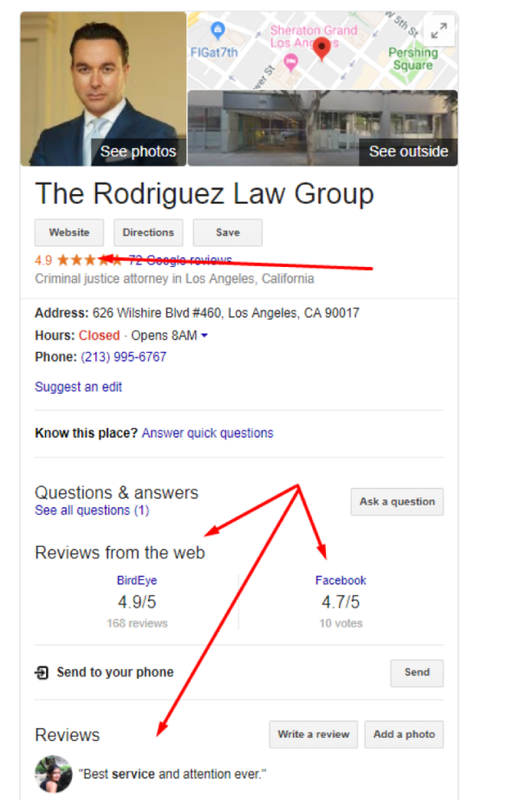 The Rodriguez Law Group effectively manages its online reputation by having positive reviews on their Google My Business account, sharing videos from local news, and including their Avvo rating and customer testimonials on the website. According to Gartner, voice search queries are the fastest-growing mobile search type. To prepare for voice search, not only should your website be mobile-friendly and responsive, but you should also get into a practice of analyzing your user experience as a whole. You’ll want to find out what your website visitors like, products or services they regularly buy, where they shop, etc. Finteza is an excellent tool for getting in-depth user statistics analyzed in real time. Voice search is quickly picking up steam. While it requires some hard work to ensure your website is fully optimized for it, these techniques and tools should help you outperform your competition, and position you and your business as a leader in your industry. Irina Weber is an experienced content marketing supervisor, blogger, and brand manager at SE Ranking. She is passionate about content marketing, social media, and always keeps up with industry trends. You can reach out to her via Twitter @irinaweber048.